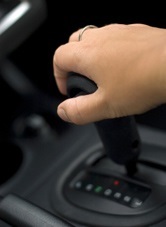 Maybe you’re hearing a squeak, grind or you have to put your foot all the way to the floor to bring your vehicle to a complete stop, and still then it might creep forward. These are signs that your in need of brake repairs. 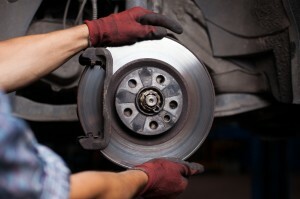 Clark Automotive, in Blaine, MN services car, truck and SUV brakes at an affordable price to you. Clark Automotive Repair Shop, located in Blaine, MN repairs and replaces auto radiators and other parts of car, truck or SUV vehicle cooling systems. Our Automotive Repair Shop is located in Blaine, MN, near Andover, Ham Lake and Shoreview, MN – right off highway 65. 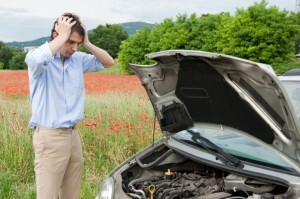 If your vehicle’s Radiator needs to be replaced or repaired and you’re in the Blaine, MN area Clark Automotive Repair Shop is your best option. We have been completing automotive repairs for over 17 years and take pride in our affordable and trustworthy approach, which our clients are grateful for. 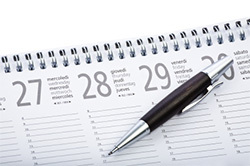 With winter coming soon it’s time to make sure your vehicle is in order. No one wants to be stranded on the road in the mist of a blizzard or in any freezing weather. Lets look further into an Automotive Cooling System and what’s needed to keep it cooling your vehicle’s engine, preventing overheating, keeping your vehicle warm and maintaining function in both the summer and winter months. Here at Clark Automotive Clinic we would like to not only be your trusted Blaine, MN auto maintenance are repair shop but also a trusted source of knowledge; to help you, the vehicle owner, make appropriate decisions about when to head to the repair shop. We are a full service auto repair shop but let’s narrow the focus on vehicle brakes, the common noises they make and when and what to do about it. At Clark Automotive Clinic, located in Blaine, MN we utilize parts equal to or better than the Original Manufacture (OEM) Parts. 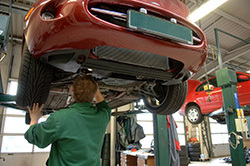 Many parts are upgraded after the car is manufactured and specific problems start to arise. When the general Diagnostic Code Test alone doesn’t answer the vehicle’s exact problem, more specific diagnostic tests need to be performed. Clark Automotive Clinic, located in Blaine, MN loves the challenge and rarely faces a puzzling vehicle issue because of our over 17 years as a company, extensive knowledge, equipment and tools. 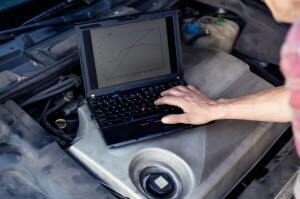 We offer a more extensive diagnostic test for $60 or less, also known as troubleshooting.